ALLEGRA BOVERMAN/Staff photo. 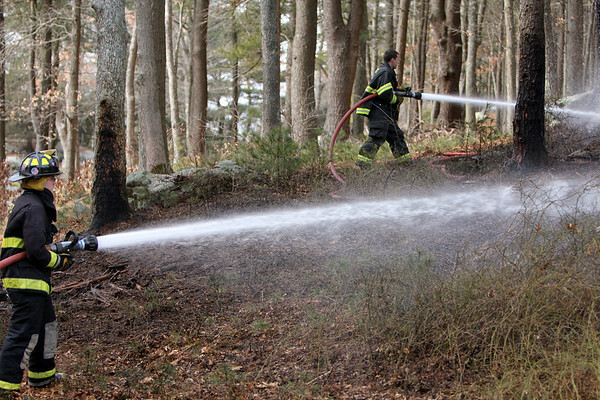 Essex: Essex firefighters put out three separate brush fires that grew from controlled burns at 32 Haskell Court in Essex on Tuesday. FIrefighters Edward Neal is at left, David Barrett is at upper right.